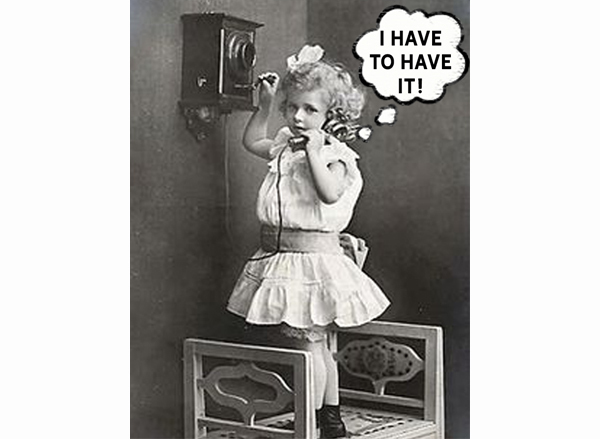 Waxing Poetic celebrates the potential for transformation in all of us. 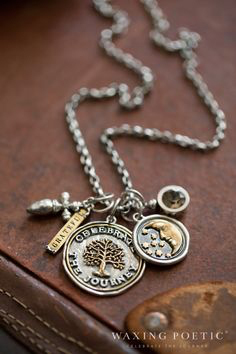 Their jewelry pays homage to the journey of our lives: where we come from, what our stories are, and how they have influenced both the world and us. 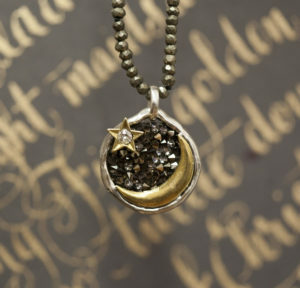 Waxing Poetic jewelry and charms come to you from Carpinteria, California, by way of designer Patti Pagliei Simpson, her intimate coterie of friends and family (sisters in particular): like-minded artists, dreamers, adventurers, and raconteurs. 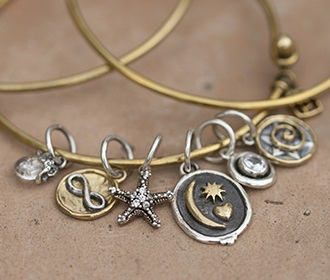 They make things they love, and hope you like them too. 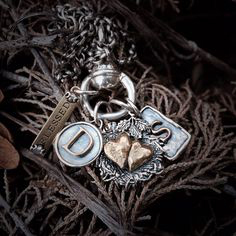 From charms inspired by antique wax seals to bracelet, chains, rings, and pendants, this line inspires us to find our own personal expression of who we are and where we have gone through their jewelry. 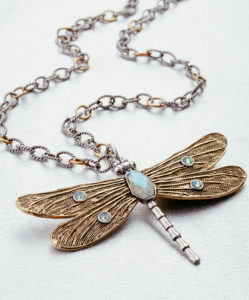 Many of their pieces are nature-inspired, including beautiful transformative dragonflies and bees and celestial moons. 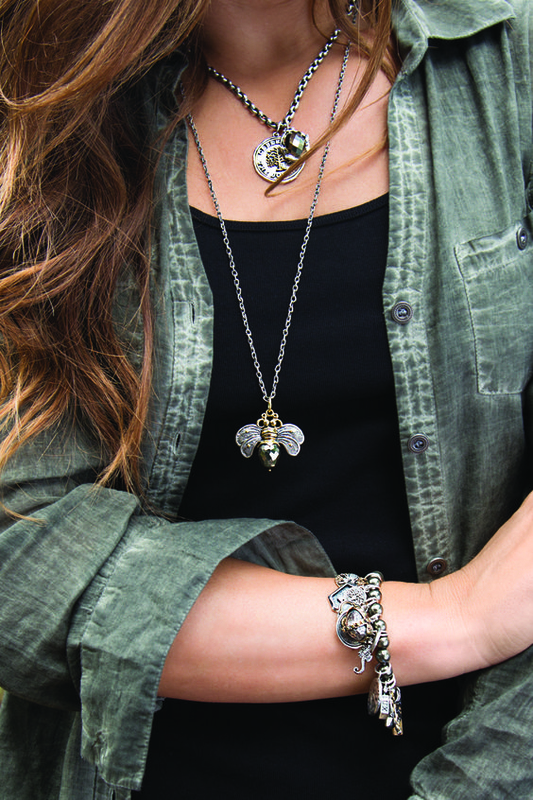 Constructed from sterling silver and brass with natural stones, the quality and style of these pieces are worthy of the memories they symbolize. 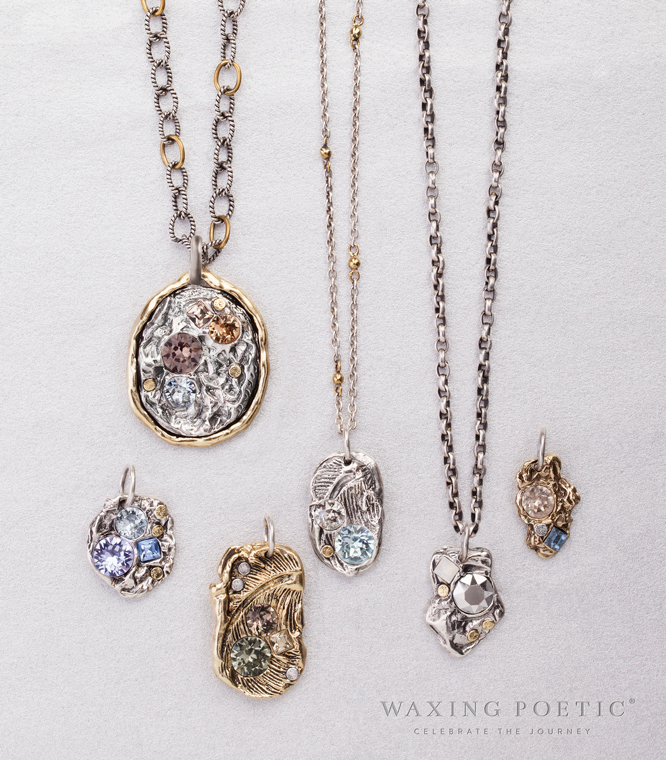 The artistic whimsy of the Waxing Poetic line is embodies in their mission, as described through poetry. All hail the small, and beautiful. In being both lost, and found, and found again.